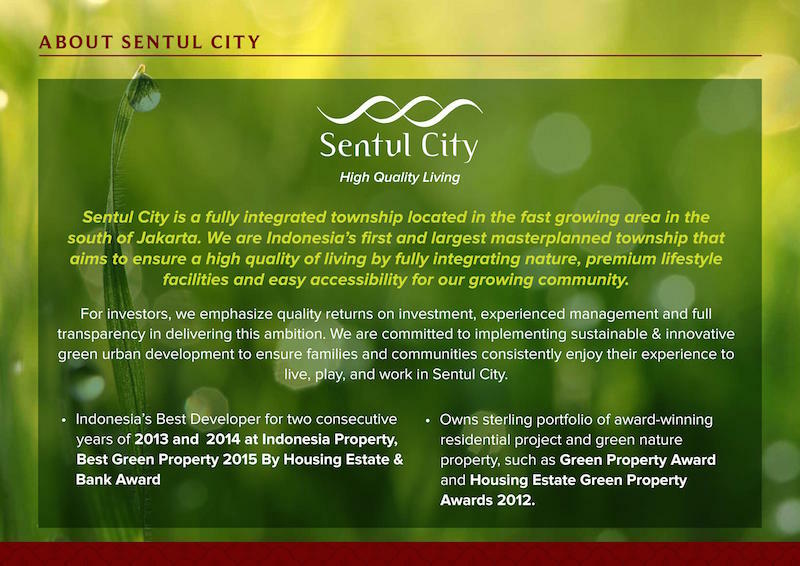 Sentul City is a fully integrated township located in the fast growing area in the south of Jakarta. Sentul City is a Indonesia’s first and largest masterplanned township that aims to ensure a high quality of living by fully integrating nature, premium lifestyle facilities and easy accessibility for our growing community. For investors, Sentul City emphasize quality returns on investment, experienced management and full transparency in delivering this ambition. Sentul City is committed to implementing sustainable & innovative green urban development to ensure families and communities consistently enjoy their experience to live, play, and work in Sentul City. Best Green Property 2015 By Housing Estate Bank Award. * Owns sterling portfolio of award-winning residential project and green nature property, such as Green Property Award and Housing Estate Green Property Awards 2012. Centerra Sentul City superblock @ South Jakarta is the latest masterpiece project by Sentul City. 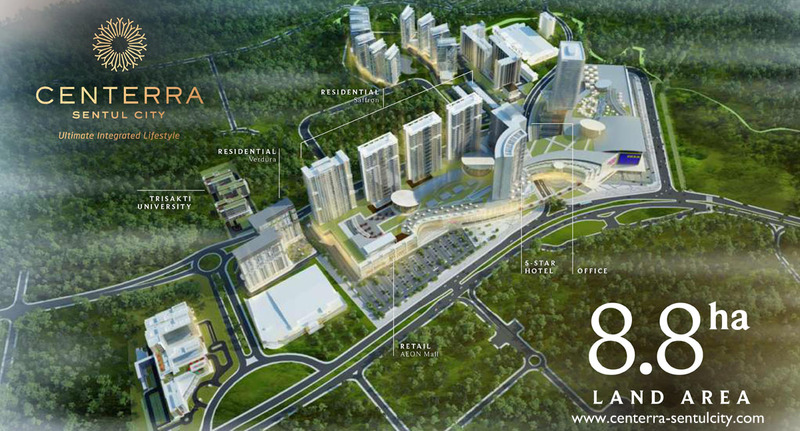 Centerra Sentul is the ultimate integrated lifestyle, the most prestigious super block in South of Jakarta. With total of 8.8 ha land size, Centerra Sentul City are having 4 tower residential Saffron Sentul Apartment, 3 tower Verdura apartment Sentul, Office Tower, AEON MALL Sentul and 5-star hotel.